falooda recipe | royal falooda recipe | falooda ice cream recipe with detailed photo and video recipe. faluda is popular street food desert served with rose syrup, basil seeds and vermicelli. 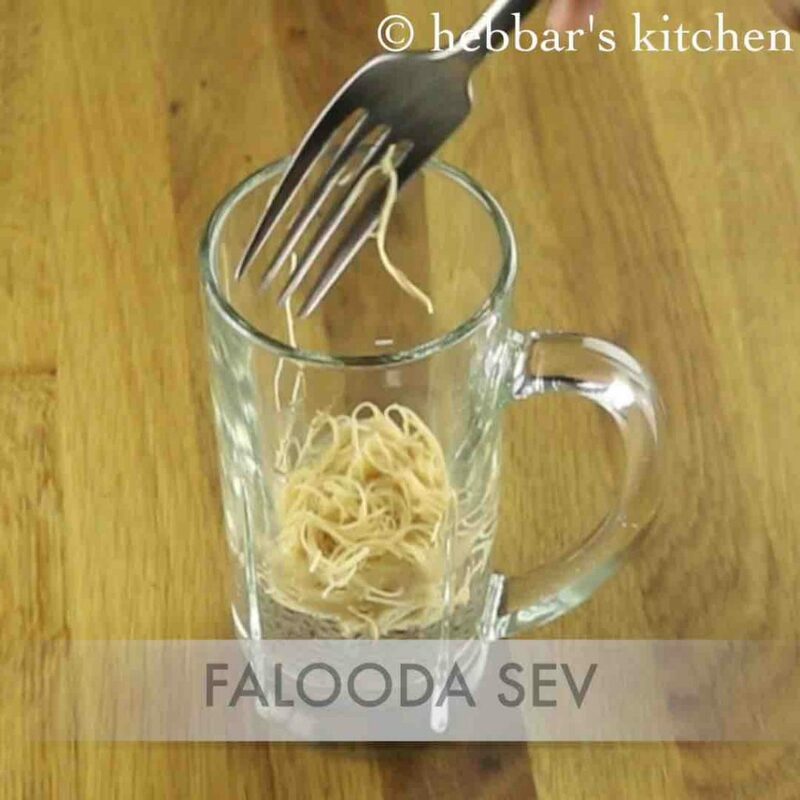 falooda recipe | royal falooda recipe | falooda ice cream recipe with step by step photo and video recipe. basically, royal faluda is a popular cold desert served with vermicelli, sabja seeds, rose milk and other dry fruits like badam, cashews, pista and tutti frutti. in addition, it is also popularly served with a scoop of vanilla ice cream. 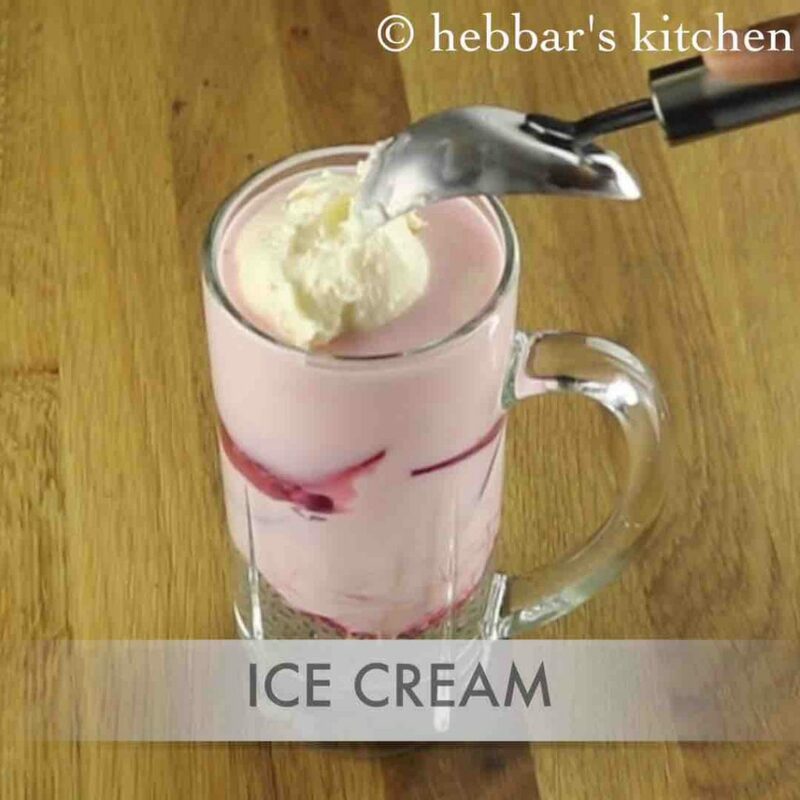 probably, faluda ice cream recipe is the queen of all indian street foods especially during summer or dry season. history of faluda drink is very interesting and according to wiki, it is not an indian drink and the roots originate to persia. in other words, royal faluda or even named as shahi faluda came to indian subcontinent by immigrant muslim community from persia. 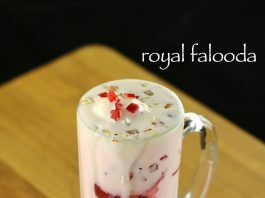 since then, faluda was only prepared and served by the royal and noble families of muslim communities. 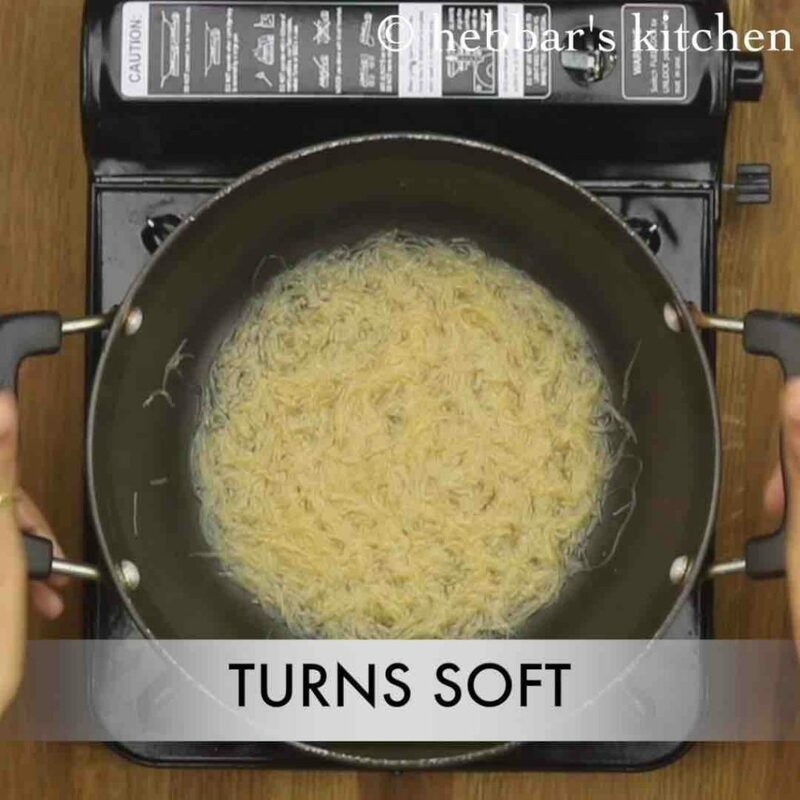 however, during recent times it has gained a lot of popularity within the other indian communities, especially as indian street food dessert. furthermore, i wasn’t a big fan of falooda recipes until one fine day, my brother from pune taught me the simple faluda ice cream recipe. perhaps, the vanilla ice cream which is topped in this drink changed my opinion completely. 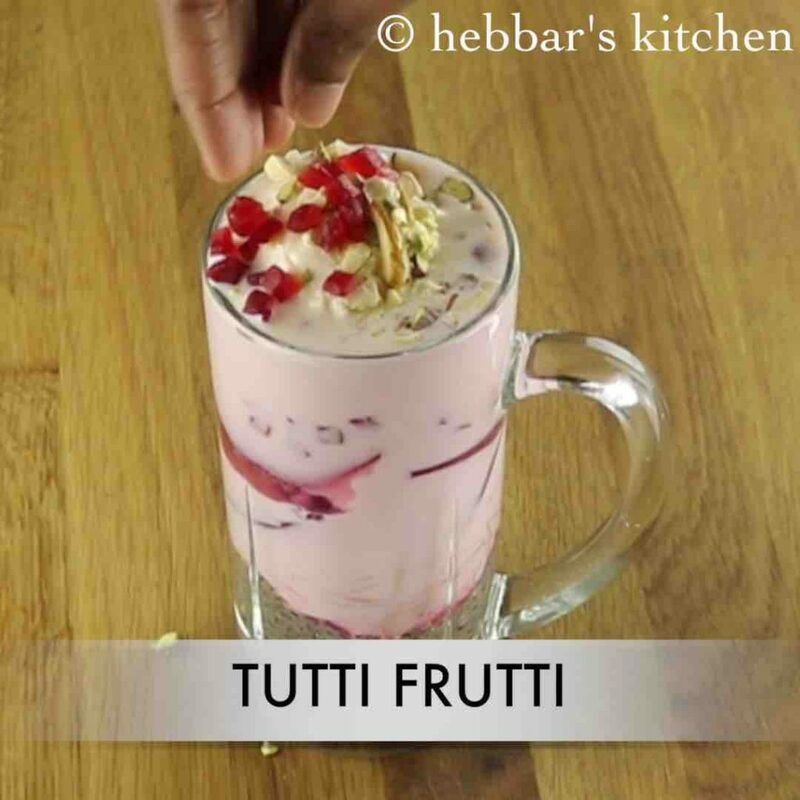 in addition, i top faluda drink with dry fruits generously, which would enhance the taste of this simple drink. 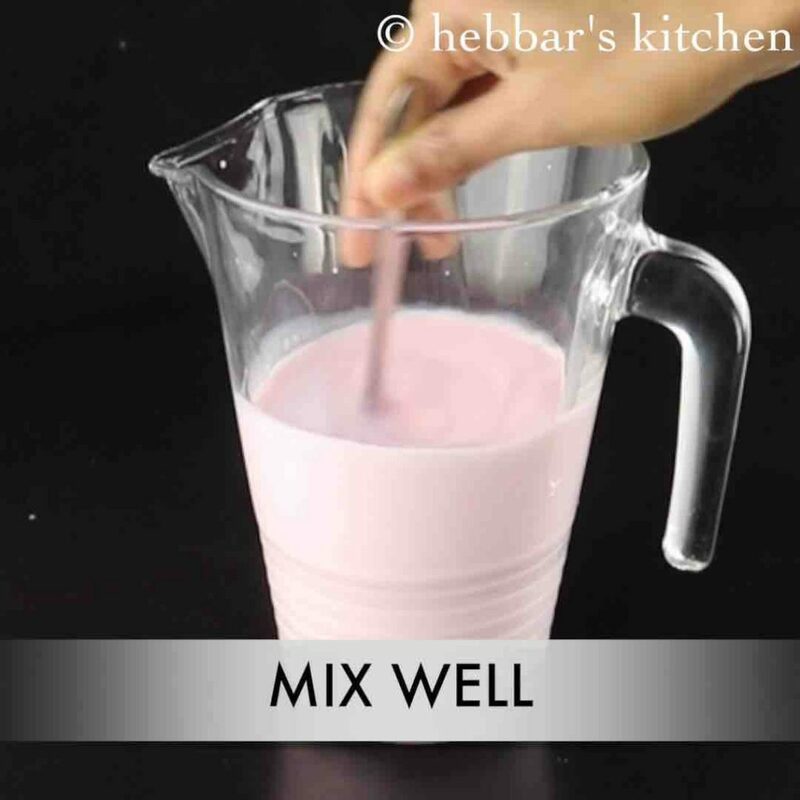 moreover, one of the other main ingredients of faluda drink is sabja and apparently it is very good for digestion and lowers the body temperature. finally, if you like my desert recipe then check out my indian sweets collection. especially, modak, mothichoor ladoo, dry fruits ladoo, instant jalebi and kaju barfi. 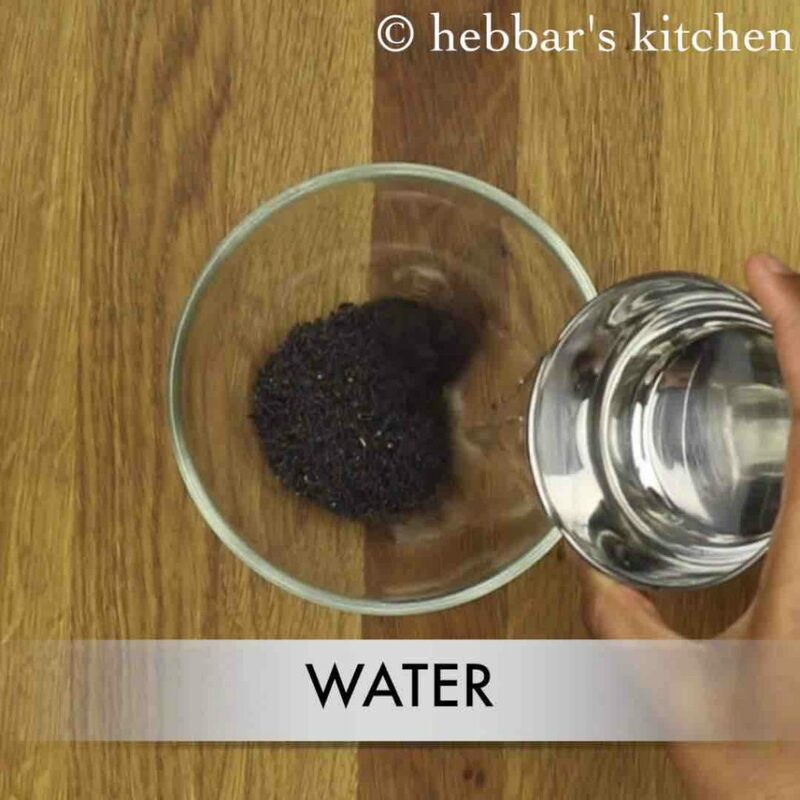 also do check my other beverages recipes. 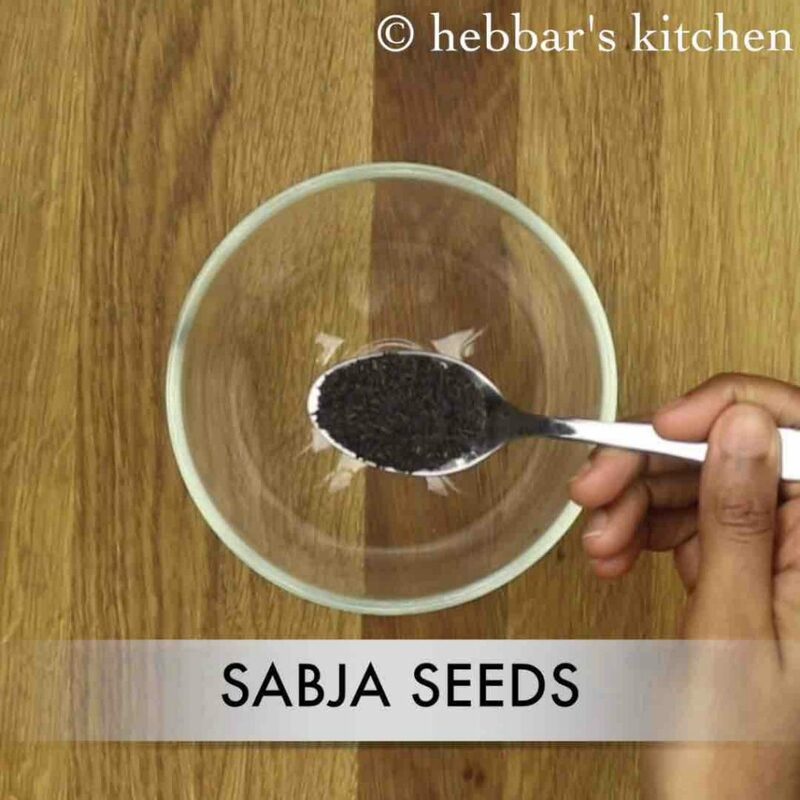 specifically, mango mastani, mango rasayana, banana rasayana, jal jeera, kokam soup, or masala chai recipe. you may also enjoy my soup collections like sweet corn soup, veg manchow soup, tomato soup recipe or beetroot soup recipe. 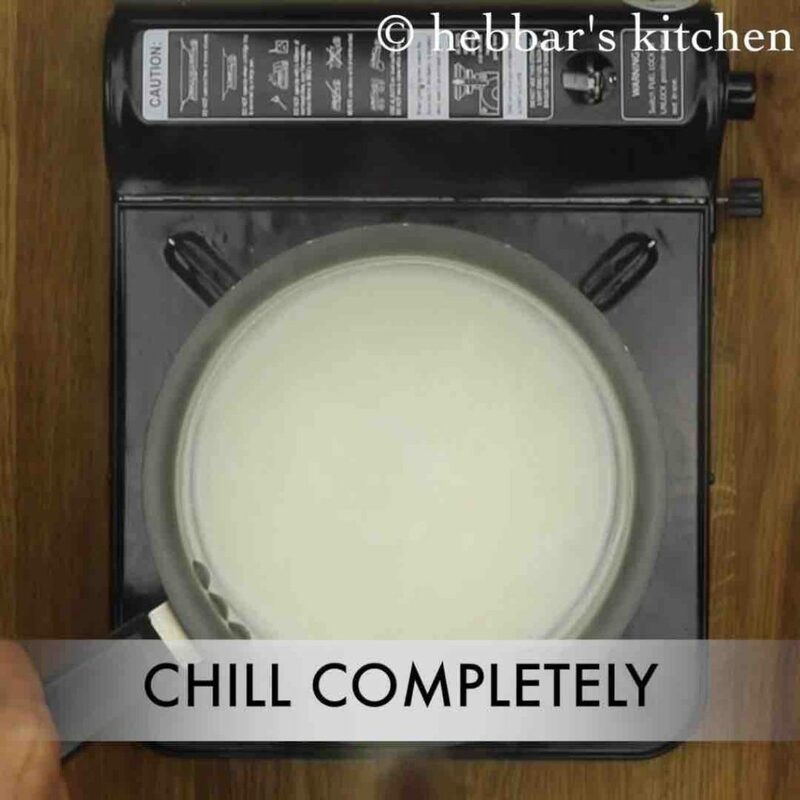 firstly, in a thick bottomed vessel boil 1½ cup of full fat milk. cool down completely and refrigerate for 1 hour. furthermore, transfer to the jug and add 2 tbsp of rose syrup. give a good mix. add more rose syrup if required. keep aside. 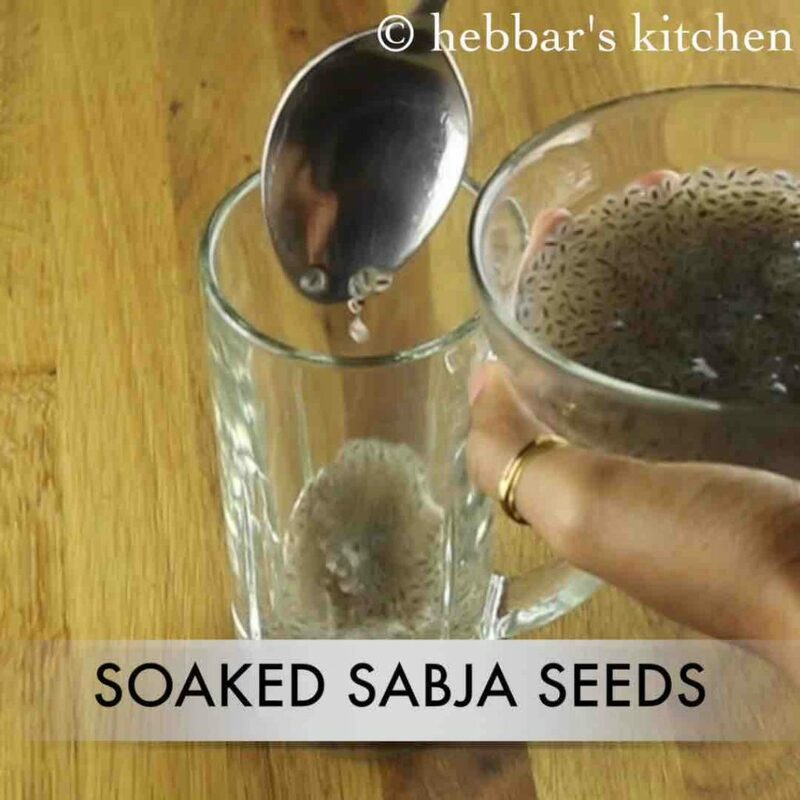 firstly, in a tall glass add 2 tsp of soaked sabja seeds. 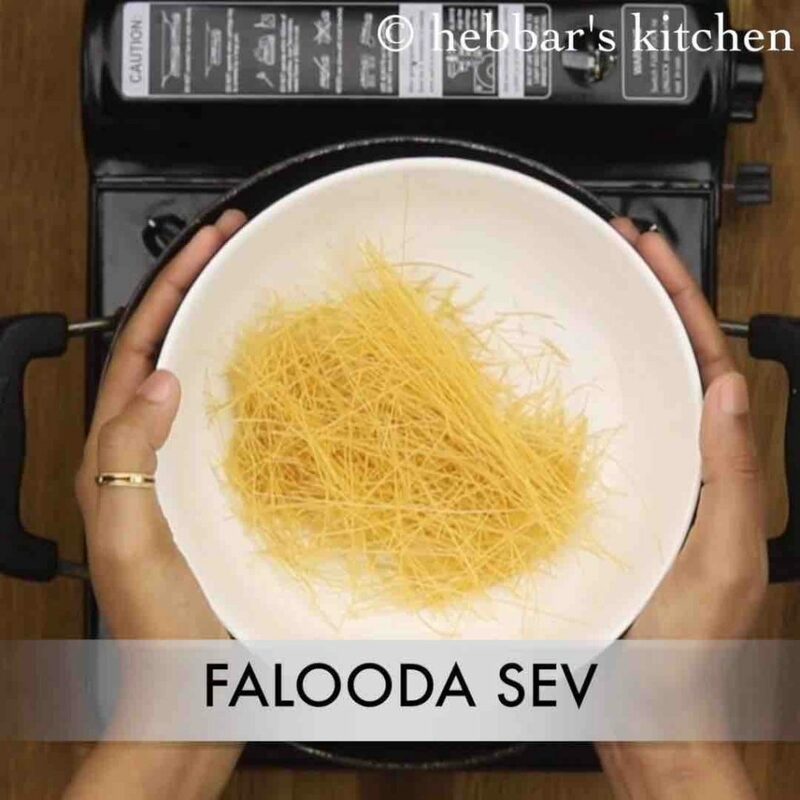 then add cooked faluda sev. furthermore, add rose syrup along the edges of the glass. 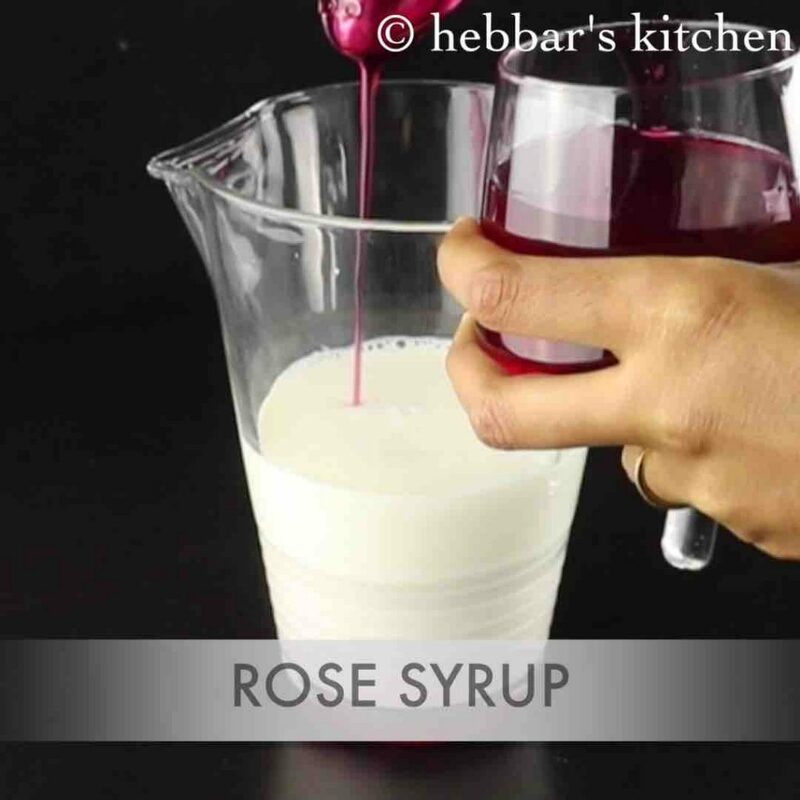 then pour the prepared rose milk. now slowly place 2 tsp of strawberry jelly. also top with a scoop of vanilla ice-cream. finally, garnish with chopped dry fruits and tutti frutti. 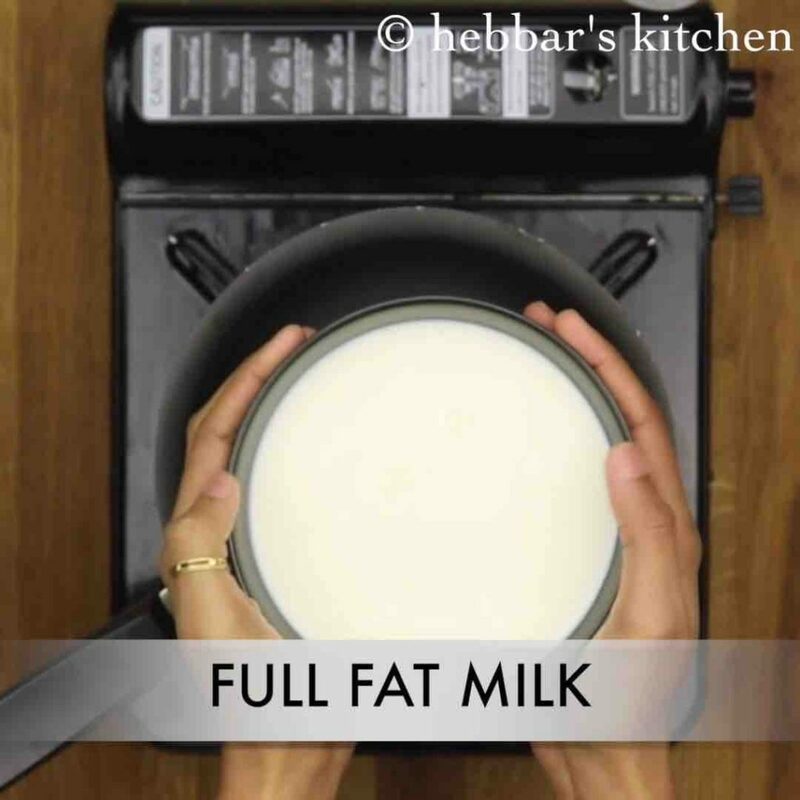 first of all, in a thick bottomed vessel boil 1½ cup of full fat milk. 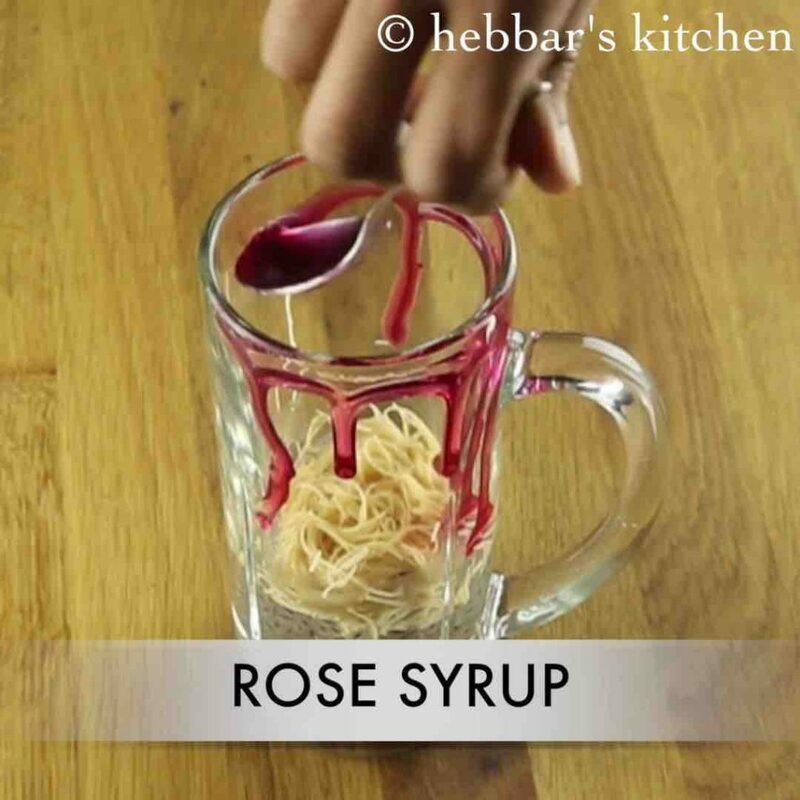 furthermore, add rose syrup along the edges of the glass. this will make your glass look more attractive. 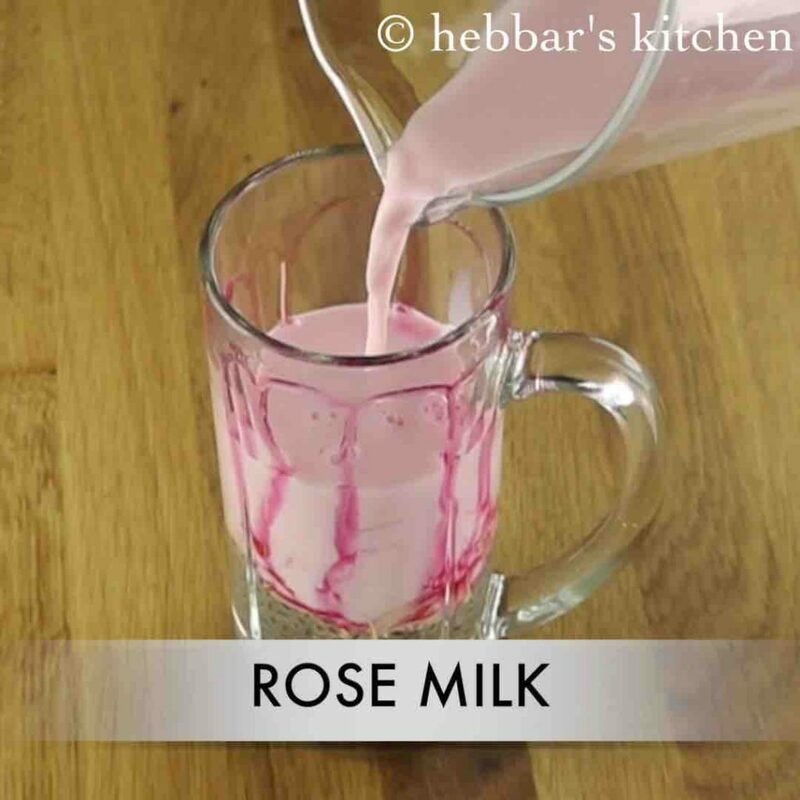 then pour the prepared rose milk. do not pour it fully, as we are going to add ice cream. 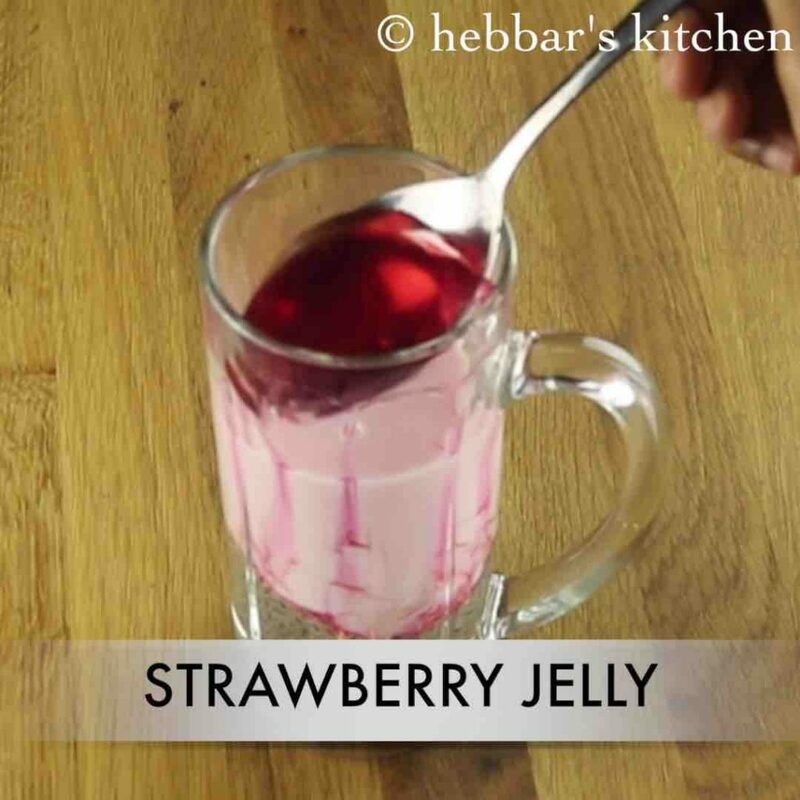 carefully place 2 tsp of strawberry jelly. 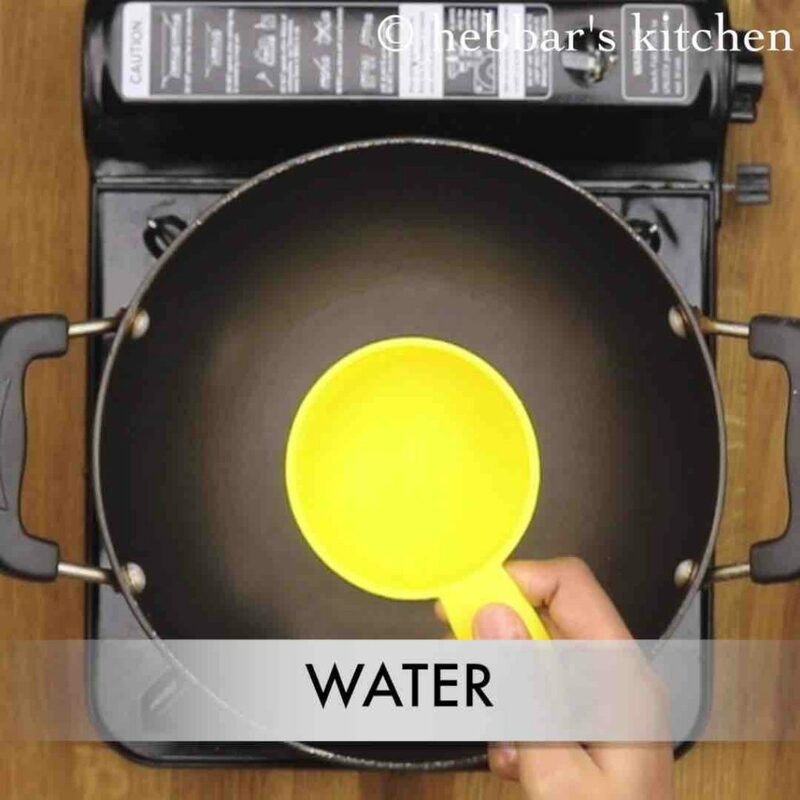 so the milk doesn’t splash out. 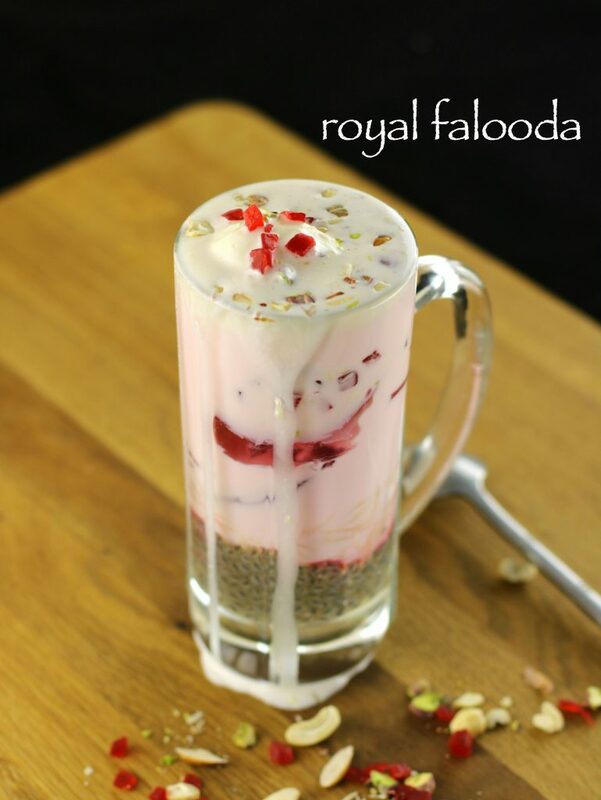 also make sure to add sabja seeds and rose milk to get the rich flavour and taste to royal faluda. 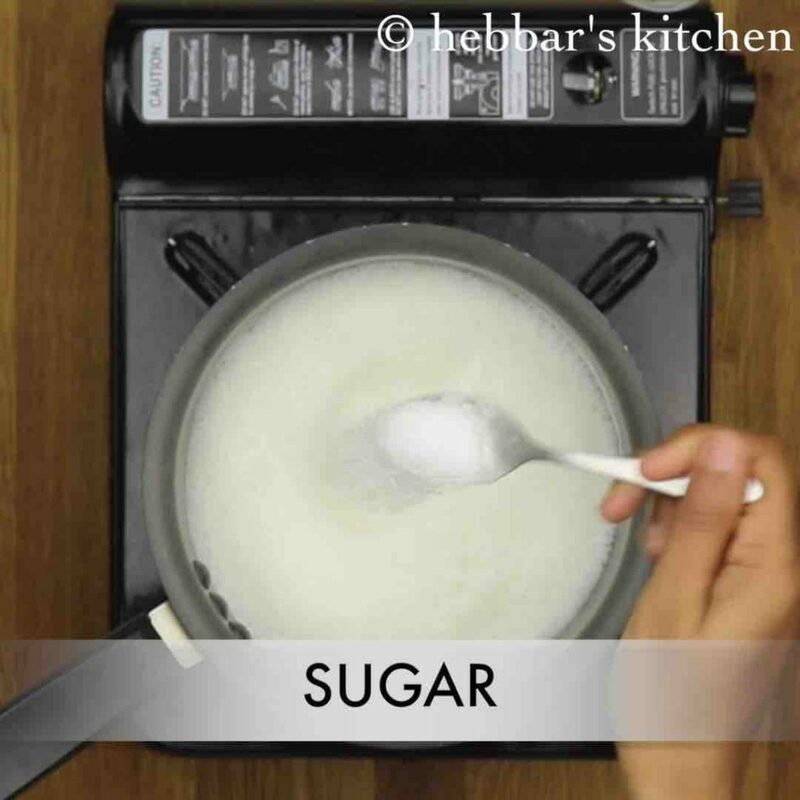 in addition, always use full fat thick milk or prepare milk shake with a scoop of vanilla ice cream. finally, garnish with generous amount of dry fruits to make faluda rich and tasty. Can you please tell me the blender name which you are using for milkshakes I am interested in buying for that model. 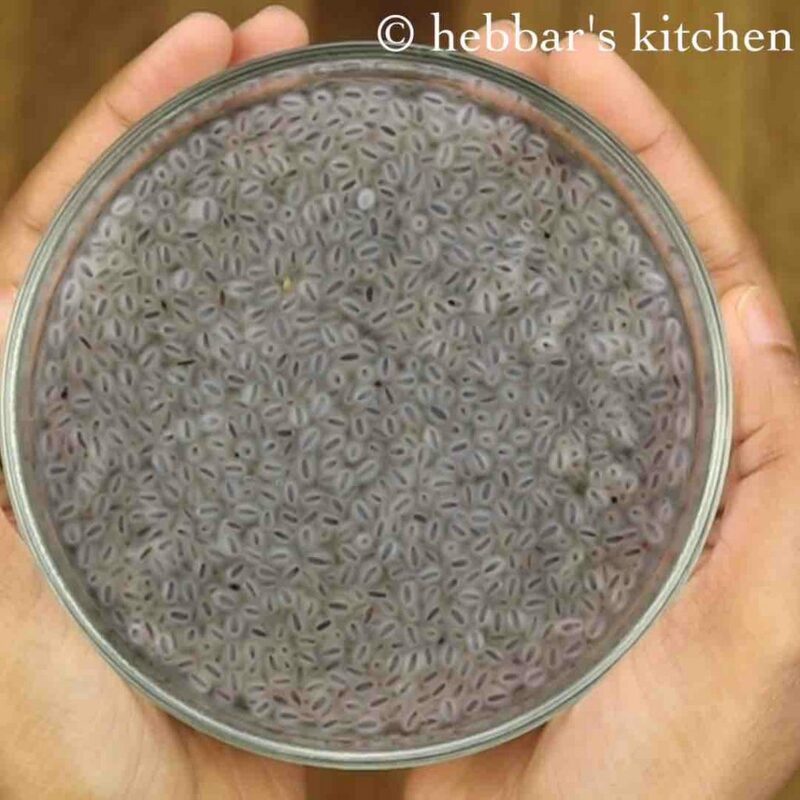 can we use vermicelli in place of falooda sev. I tried this just now and it was a hit! My dad’s favorite and happy that I could make it for him! Thanks! Yummy! The photos are so lovely! How do you add them into a gallery box of thumbnails in the word press reader feed? Any tips? Thanks! I do remember the original falooda, but always found it a bit too sweet. 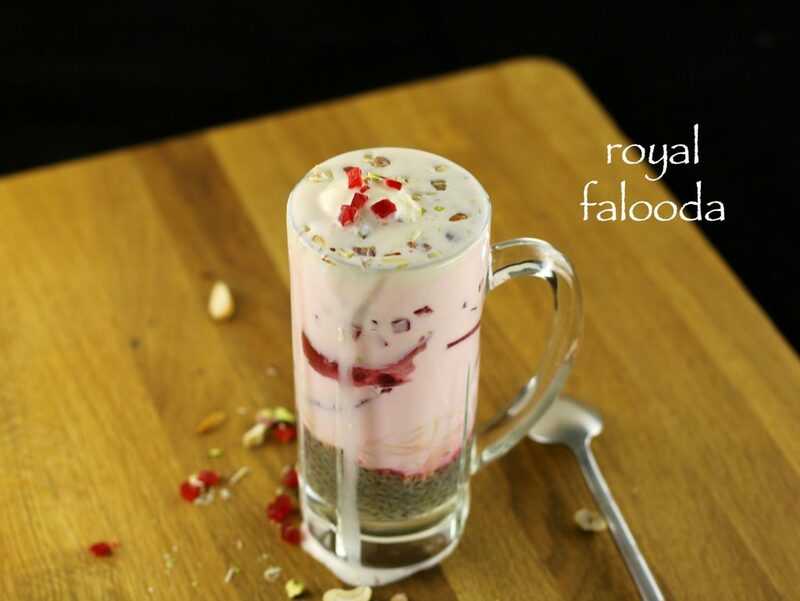 Your Royal Falooda recipe sounds so much better! And a powerhouse of a breakfast too! thanks a lot for those wonderful comments. Actually, i did not get your questions regarding photos though.